I can’t wait to read the book. This month makes me happy because of all the beautiful blooms in my yard. And the many books I will be reading. The trees are blooming here, Susan! They are so pretty. I love this snippet of the year! Love to read your books. Please continue to write clean romance books. 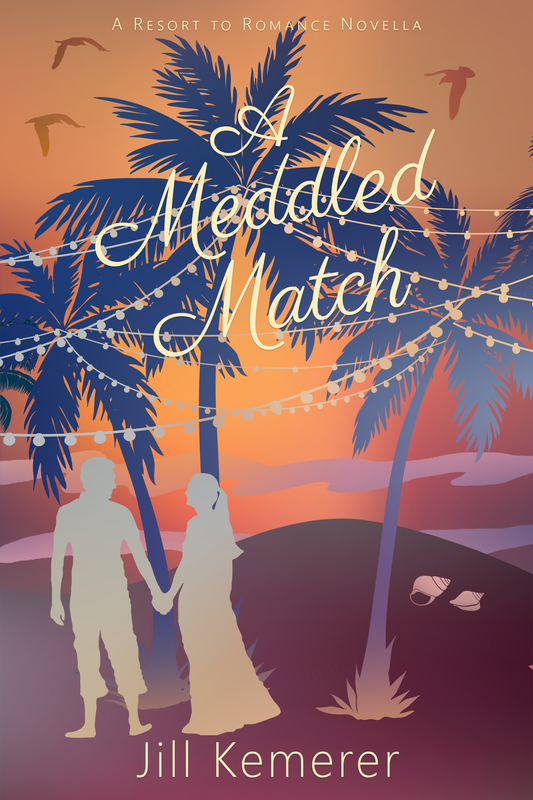 I love reading inspirational, clean romance books and can’t wait to read this one. My granddaughters make me happy, especially since they both love the Lord and live for Him. Aww, granddaughters! What a beautiful testimony! God bless them, Margaret! May is such a beautiful weather month! My favorite part is it’s my first grandson’s birth month! Thanks! Happy birthday to your oldest grandson, Robin! Woohoo! I love your stories!!! This month, there are lots of things making me happy. One of those things is reading Reunited with the Bull Rider. 🙂 Have a blessed day! *blushing* Thanks so much, Melissa!! Your book looks like it will be a great one to read. Love the cover. So exciting! Thank you, Vickie! I love the cover, too. 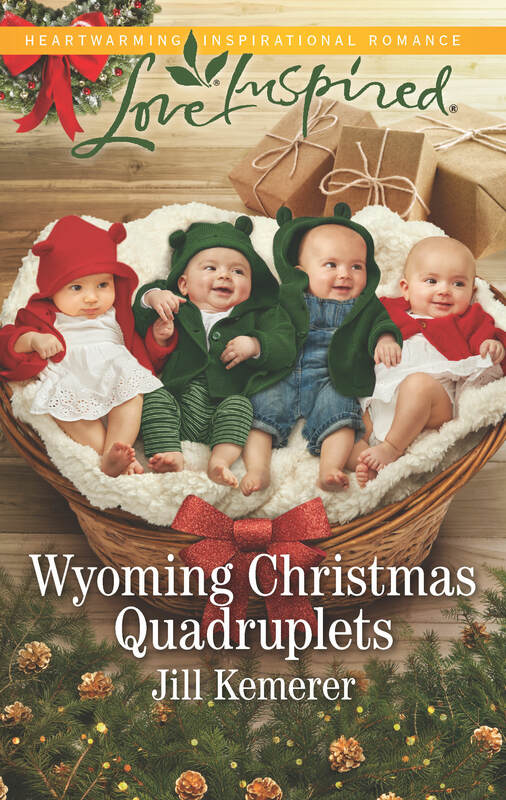 Those little pigtails and pink cowboy boots–too cute! I am happy to see lots of Spring weather! Blubonnets are fading but lots of pretty flowers are here. I love that! Perrianne, bluebonnets are so pretty! I love spring flowers. We’re finally starting to see tree blossoms here! thank you for such a generous give a way. just so you know the pin in the rafflecopter is for a different give a way. not sure if you want us to go ahead and use that pin or not. I have not read any of your books and i would love to try. i love sweet clean westerns. 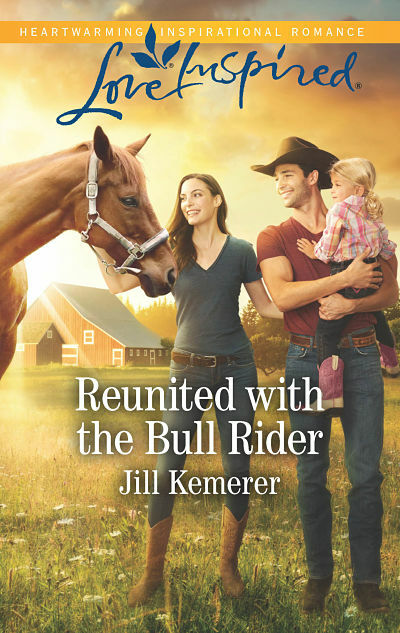 Reunited with a Bull Rider sounds like the perfect combination for a great read! We have a spunky mini-doxie, and she is my writing buddy! THanks, Mary! Yay! Thanks for entering, Kristen! It looks like spring has sprung, so that makes me happy! Warmer, sunnier weather. Thanks for the opportunity to win such a lovely prize package. Oh, Anne, I’m right there with you on the warmer, sunnier weather! Thank you! 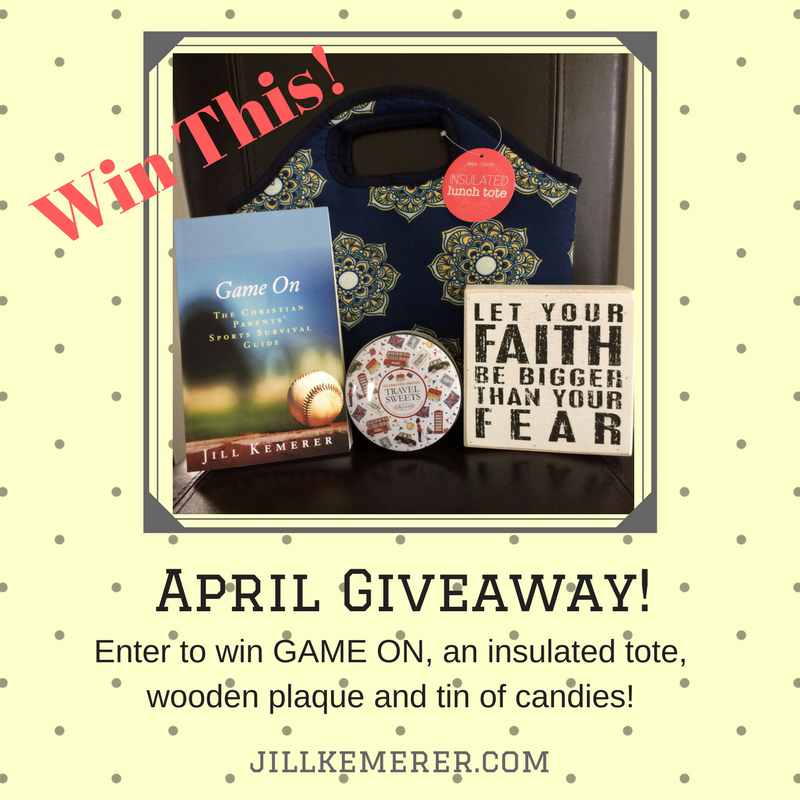 What a fun give away! I love the towels and toffee! Aren’t they cute, Beverly? And the candy…yum!! You are very welcome, Jamie!! 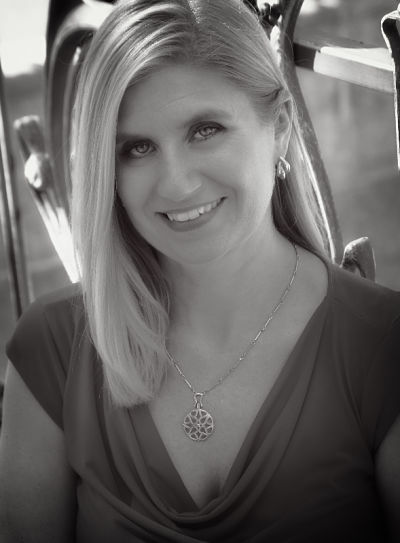 Jill, the stories that break the author’s heart are the best at connecting with readers. I am on draft three of one that makes me weep in several spots every time I work on it. What’s making me happy this week? That I’ve moved on to draft three on that particular project, which is the dearest one to my heart that I’ve ever conjured up. Ooh, Andrea, I’m so glad you’re making huge progress!! And that the story is so dear to your heart! Yay!! High five, JCP!! Same here!! The lovely month of May! We’ve had beautiful weather here in Alabama the last few days. My granddaughter and I both have May birthdays. She was actually born on Mother’s Day in 2010! Aww! Well, happy birthday to you both! To receive these items would be like Christmas morning. We are all celebrating with you. Have a blessed day. We are celebrating my father’s name and service dates being placed on a War Memorial. Oh, Linda, what a special time that will be. God bless your family! 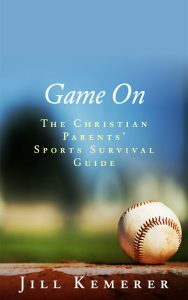 I cannot wait to read this book! My son used to play baseball too! I miss those days! So far, I am enjoying the warmer weather and the spring flowers. Same here, Stephanie! The spring flowers have done wonders for my mood! Things that are making me happy this month: warmer weather, reading great books, and looking forward to my son coming in mid month. The book sounds great. I now have another one to add to my extensive “want to read” list! You get to see your son, Pam! Yay! Your list of happy things looks just like mine. 🙂 Thanks! Thanks for the giveaway, love LI books! I do, too, Cassandra! Thanks! This sounds like a wonderful book! I can’t wait to read it. One can’t go wrong with cowboys and horses! I agree 100%! Thanks, Jennifer! Your book sounds like one I would enjoy reading. Well, thank you, Jackie! I loved writing it! Thanks so much, Natalya! I love the cover, too! I absolutely cannot wait to read this book! This month, a couple of things are making me happy…. My oldest is graduating high school and the rest of my kids get out of school for the summer (no more homework, just fun family time!). Oh, wow, Tiffany! Congrats on getting one through high school! It’s a busy, busy time. I’m so glad you’ll have the summer with your family! Love the cover and love these Love Ispired Books. Congratulations on your seventh release and may you have many more. Thanks for your very generous giveaway. Jill, I love a reunion romance. 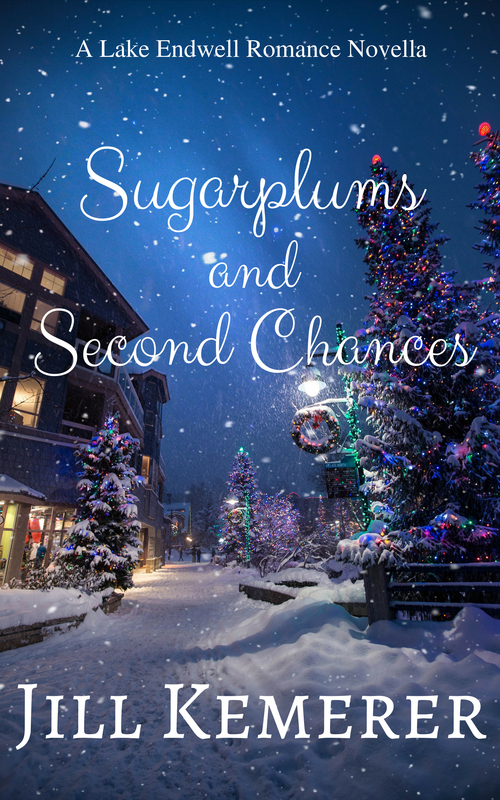 One of mine (and my first sale) is a reunion AND “secret baby.” Love the concept that there is always room for second chances. Tried to get on the entry form site for the drawing but could not get on, will try again later. Working on my goals for May; so far, nothing to brag about, but at least I’m aware of what I’m NOT accomplishing. Aww, that’s so cool your first sale was a reunion and secret baby story! I love reading them! Sorry the form wasn’t working for you. I’m not sure why that happens sometimes. Today i am so happy that I can read my Bible with some hot tea. That the sun is shining and spring has finally sprung. This month, I am happy that I am able to spend time with my dad every other day. He is in a nursing home dying of prostrate cancer and failed kidneys.We are all assured of his final destination, so that is not an issue, it is just tough while here on earth. But good news, he will be joining my mom after 6 years. Bible and hot tea are just the thing, Lori. I’m really sorry about your dad. My dad spent the final four years of his life in a nursing home, and it’s hard. He’s in heaven now. What a joy to know your dad will be joining your dear mother. I know it will be hard on you, though. Just got home from the Billy Graham Library! Feeling happy, happy, happy! The Billy Graham Library! I didn’t know there was such a thing. How cool is that?? I can’t either! Bring it on! Ooh, how fun! Enjoy that convertible! today I am happy because I went to see my dad in the nursing home and he is doing much better. It is so good to hear him laugh and joke again. I’m happy because it’s a beautiful Sunday in May! I love this cover. Today I am happy for the time we as family spent with my dad for a birthday party. We have started attending another church in February and are both now serving. We really love this new church. I am happy that today the church had a volunteer appreciation breakfast and we got to talk with other volunteers, giving us a chance to meet other people in the church. Great morning for new beginnings. Yay, Lori, for your new church! I’m so happy you’ve found a good fit. And how nice that you could spend time with your dad! this sounds like a wonderful book. I know mentoring someone can have its difficult times and happy times and other times where I am totally lost as to how to help. And then there have been a few times where I just left crying. Anonymity here. It is not always an easy thing but is always worthwhile. I would love to read this book. I love the cover. Thank, Lori! I love the cover, too! Have always loved your cover art. The artists were good to me! Thanks, Kristen! what is making me happy this month? we have started going to a new church and we absolutely love it. I love the teaching and the fellowship. we have started volunteering (my husband in the tech booth at the back of the auditorium and me with meals on wheels and making cards for those in need, new baby sympathy etc) I am so happy to be a part of this church and look forward to getting to know others more. Mmm, love it! I’m all about sunshine and birds singing, Mary! Sunshine and warmer weather are making me happy today. The books sound like good reading! The book makes me feel warm & cozy inside, it sound like a terrific read. Thanks for your generosity. Your book looks very exciting and interesting. I’m happy for the warmer, sunshiny days! 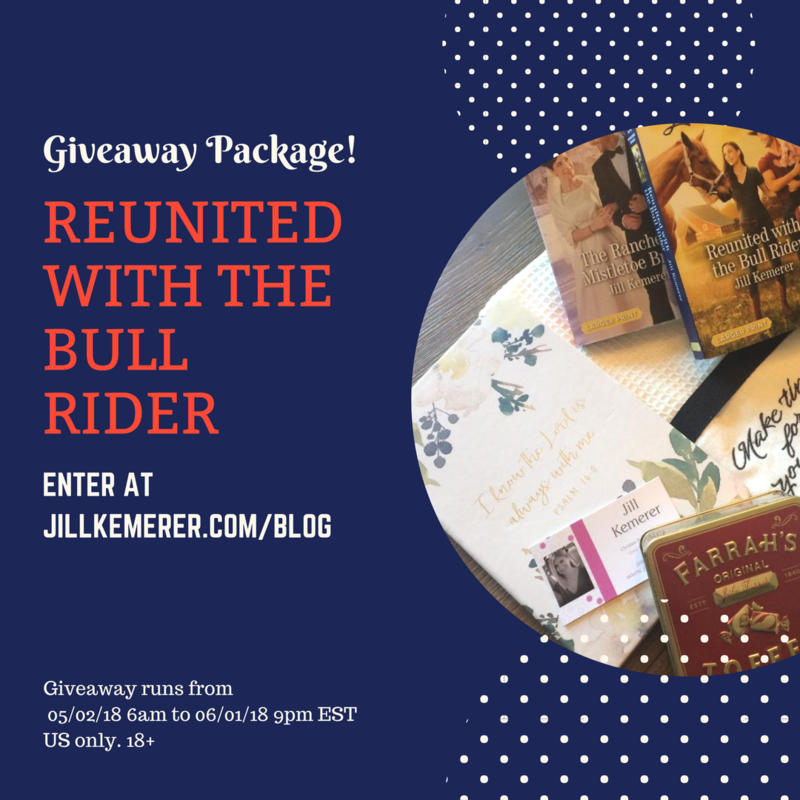 Looking forward to reading Reunited with the Bull Rider! Thanks for the chance. today i am happy for the sunshine and the rain from last night.. everything looks so fresh and pretty. green and flowers. we have new bunnies next door, they are so adorable. I love to watch Gods creation unfold before us. happy Wednesday. today i am happy for the sunshine and the rain from last night.. everything looks so fresh and pretty. green and flowers. we have new bunnies next door, they are so adorable. I love to watch Gods creation unfold before us. Awww, bunnies! They are so cute! Jill, this book looks like another winner! This giveaway looks super yummy. You like all the things I do sista!! Thanks, Dana! I’m laughing–we do have the same taste! This book looks like one that would leave me with a happy, warm feeling. Those are my favorites! I hope it does, Jeanna! Those are my favorite books, too! this is such a wonderful cover. it has a horse and a baby, woohoo how can you go wrong with that? today i am happy that i slept good last night and am ready to tackle the day. Getting good sleep is always a plus! Enjoy! just like the wonderful cover, i hope you have a wonderful weekend and a Happy Mothers day. Thank you!! Happy Mother’s Day to you as well! And I’m glad you had a good visit with your dad! I am just happy to be alive and healthy. I will be going to Chicago this month to discuss how we can help African American women with Triple Negative Breast Cancer participate in clinical trials. *high five* That is awesome, Sonnetta! I’m glad you’ll be able to encourage and bless other women! I’m happy for this beautiful Mother’s Day! I hope yours was nice too! I am so happy for sunshine today after the last few days with clouds and rain. I am happy to be visiting my dad today in the nursing home. I hope the rain cools you down, Connie! Enjoy the weather! I love this cover. It makes me happy just looking at it. It portrays family. And it has a horse, woohoo. We are getting a deluge of rain today. But everything is so green and pretty. It will keep me in the house today. I am happy that I can finish my baby quilt for my great nephew. Today I am also happy that I woke up with less aches and pains. well we have been at the hospital with my mother in law. she has had two seizures, this is a first for her. I am grateful that we have such a wonderful hospital near by. the doctors are great and the nurses are so compassionate and caring. I’m so sorry about your mother-in-law, Lori. I’ll keep her in my prayers. Ooh, so glad!! Thanks, Penney! 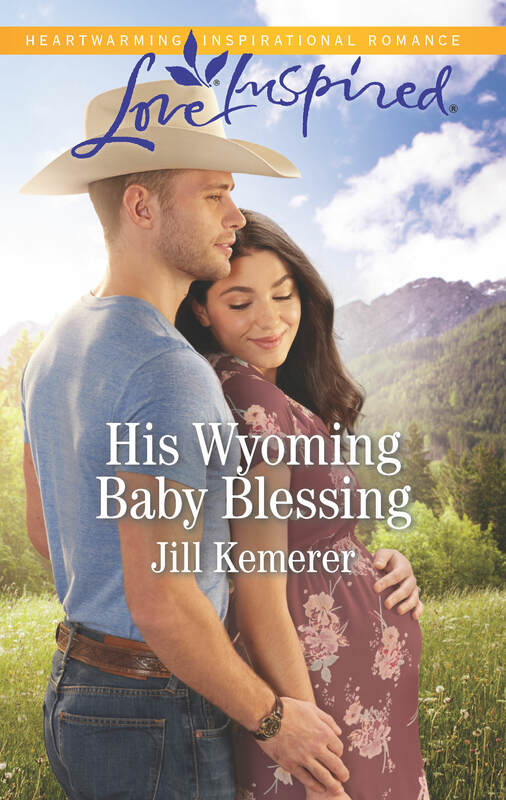 Congratulations, Jill, on your new book release! I love reading your books. I love reading Love Inspired books! I can hardly wait to read this one! Thanks for this giveaway. So happy you like Love Inspired, too! Thanks, Donna! Looking forward to this one, Jill. I mean, Nash isn’t a Romine, but…..
My oldest just got his masters degree this month. I am so proud of him! That makes me happy! Haha! They should all be Romines… 🙂 THanks, Melissa! Today I am happy that the sun is shining. I am happy about the verse: Romans 15:13 “May the God of hope fill you with all joy and peace as you trust in him, so that you may overflow with hope by the power of the Holy Spirit.” This is a good one this week. My mother in law is still undergoing tests. My father is now home and doing surprisingly well on a walker. God is so good. Jill, your books sound very good. Seems like something I’d like to read. Since I’m handicapped going to the library is a rare occasion. So I read what I can get free for kindle or any other books I can get cheaply. Linda, I’m sorry it’s difficult for you to get out. Our library has ebooks I can order off the internet. I wonder if yours does, too. It might be worth looking into! Love all things cowboy! I am happy for warmer weather and trees and flowers blooming. wow for you as the author to have cried many times while writing it, it must be emotional. I would love to read this book. today i am so happy that my mother in law will be released from the hospital Friday. She will be going to a rehab place for a short while. all the tests she took in the hospital came back negative. but they did give her a medicine to take care of the seizures. The doctor did say that she is at the beginning of dementia. but being 84 yrs old the doctor said is understandable. Jill I thank you for your prayers. That’s great news about your mother-in-law! I’m so glad she’s out of the hospital. Hang in there! Second chances and a child! How lovely. You made a wise decision! I love the cover illustration. So sweet! I’ve heard that horses are wonderful for therapy. today i am happy for the sunshine, even though it is 92 out. I am happy that i was able to wake up this morning and praise the Lord. I have talked to my daughter in law who trains horses and trains students to ride English. She has said that yes horses can be good for rehabilitation in certain instances. I see what being around horses’ does for her and our son. I am happy that they have the horses to ride and share. Hope you and yours have a fabulous weekend. I am so happy today. We went and visited my mother in law in the rehab facility. Her physical therapy and occupational therapy are coming along so well. She is walking by herself with no problem, she is thinking so much better now. The social worker had a meeting with my mother in law, my husband (care giver in the will) and I. She was so impressed with my MIL that she is saying that she may be going back to her independent living home in about 4-5 days. Praise the Lord. I need to read all of the books on my digital pile so I can read this one. Today I am happy that friends and family had a safe and fun weekend. Today I am happy that I will finish another baby quilt for a great nephew. Aww, that is a beautiful sentiment. And how cool that you quilt! This month my son started OT and I’m excited to see how it is going to help him. Wonderful!! Praying it helps him! ohh a cowboy, yes, and a girl that runs a quilt shop, yes. I grew up on a ranch, and i love cowboys and I quilt. I have seen great, successful shops and not so great shops. I would love to read this book. Happy Wednesday. Today I am happy that I can praise the Lord in my own home how I wish. I am happy that I can see so I can read the Bible. Wow, Lori, you grew up on a ranch! Love it! Today I’m happy because one of my favorite action movies is on Hulu and we watched it last night. We used to own a copy on VHS but never replaced it so it’s been a while since we’ve seen it. Today I am happy. My cousins daughter is getting married in August. I just received an invitation. We live in Illinois and she lives in Tennessee. So we don’t get to see each other much. We will be spending some time over there with my cousin. I was the first daughter born from the two brothers, my dad and his brother. My uncles name was Lourn and if I was a boy that would have been my name. But since I was a girl my name became Lournetta. I love my name. Another thing I am happy about. Today I’m happy because I only have 4 more rows left on the doll afghan I’m making for my 6 year old. Woohoo, I am happy today that my mother in law will be coming home from the rehab place. It was a wonderful place, but she is super glad to be home. Actually she had breakfast at 7 am today and went back to back her few belongings. My husband went and picked her up at 10:30 am. He is spending the day with her, going to the bank, grocery store, etc. Then he will have dinner in the dining room with her so he can ward off some of the people that have been waiting for her to get back. Have a wonderful weekend. 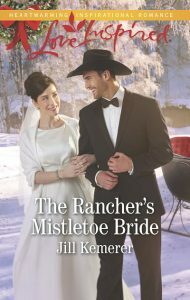 next post: Paperback Release Day Reunited with the Bull Rider!